Well, here’s something! Wednesday just became more interesting for me! American Idol Season 5 winner, Taylor Hicks, and Season 2 Runner-Up, Clay Aiken, will star on the Wednesday, November 6th episode of Law And Order on NBC. Additionally, The X Factor Season 2 Runner – Up, Carly Rose Sonenclar, will be a featured guest on this episode. So, for reality singing fans, there are three reasons to tune in, even if you are not a regular viewer of Law And Order. However, there is a fourth reason to watch. The show will center around a fictional singing competition, American Diva. 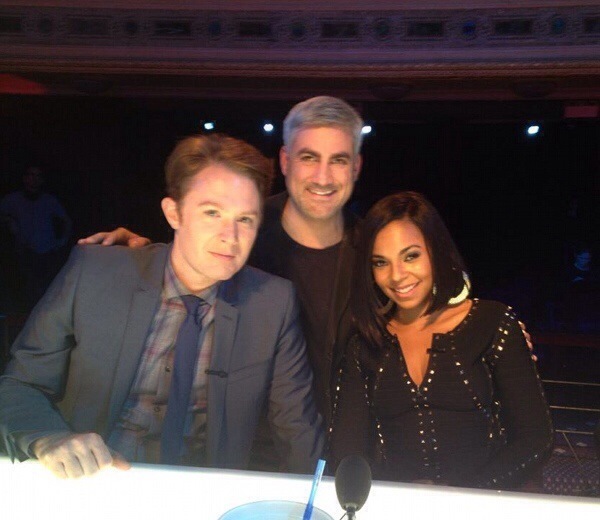 In fact, both Taylor and Clay will take on the role of judges, along with R&B Star, Ashanti. “In Wednesday’s episode, “Dissonant Voices,” Detective Olivia Benson (Mariska Hargitay) is investigating a sexual abuse scandal that could ruin the career of a popular singing coach (played by Broadway star Billy Porter). Among the additional guest stars is X Factor season-two runner-up Carly Rose Sonenclar, who will play a contestant on American Diva. The show will air at 9 p.m. Wednesday”. THR interviewed Taylor Hicks and, as always, he articulated his musical experiences pre and post Idol with finesse and style. He is such a strategic artist – incredibly focused and passionately driven in his musical career. Will you be watching on Wednesday?